The piada, or piadina is a perfect gastronomic symbol for Romagna, and Rimini (of course, Riminese will tell you that, while you can get piadina all throughout Emilia-Romagna, the best are made in Rimini). It’s deceptively simple fare, being an unfancy looking flat-bread. Indeed, chroniclers of Italian cuisine like Artusi didn’t even deem it worthy of an entry, and yet, when made properly, and filled with local ingredients like prosciutto crudo and stracchino cheese, it’s paradise on a plate. Part of the secret of why piadina is so tasty can be laid at the door of one ingredient – strutto, or lard. The bread is made of simple flour, salted water, and pig lard. It’s that simple, but debates rage throughout the region as to the superiority of local ingredients; as to the thickness the piada should ideally have; and of course, as to what should be put into it. Blindfold an expert, bundle him into a van and drive him to an undisclosed destination in Romagna, and by tasting the local piada he should be able to tell, by the size, texture and taste, roughly where he is! For example, towards the southern end, i.e Rimini, the traditional piadina is large and thin, while as you move northwards and inland, through to Forli and Faenza, the piada becomes thicker and shorter in diameter. Part of the appeal of the piadina, aside from its taste, is the connection it has with the traditions of the region. As its put in the excellent ‘Sul Mangiare e altre storie‘ (edited by Simona ceccarelli and Mara Valentini: “”circling around the piada are tales and memories of other times and of a folk culture in symbiosis with the rythmns and laws of nature […] it was well known amongst the azdore that at the end of the day the determining factor was the sweat of the hand that kneeded the dough: a fusion of body, moods, and food in a symbolic union”. Not only that, but the bread became a symbol of community and a social marker. The poor were termed ‘mangiapiada‘ (piada eaters) because the bread was easy and cheap to make; it was economical in its use of flour, didn’t require an oven, and was versatile, filling, and good to eat for a couple of days. Little wonder then, in a region that prides itself on its simplicity, its traditions, the piada has such a special place. The famous Romagnolo poet Giovanni Pascoli went as far as to write a lengthy poem to it, where it becomes the substance that binds together all the facets of country life. The piada‘s origins and etymology are far from certain, although it seems reasonable to presume that it dates back to at least Roman times, and perhaps shares some roots with other famous flat-breads of the empire like Pita – woe to the man, though, that suggests the piada is ‘simply pita under another guise’. 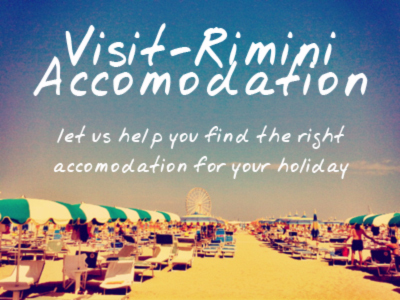 It’s nothing of the sort, and if you suggest that it is, in downtown Rimini, you’ll be treated either as a fool or ill! Nowadays, for the most part, Romagnoli opt for a more modern version, still called the teglia – which is a large cast-iron flat implement similar to a frying-pan flattened out. These can be bought in any hardward store, or often in the markets (for example, in Rimini’s Piazza Cavour on Wednesdays or Saturdays). Dotted around Rimini and other towns in Romagna you’ll find piadinerie, simple establishments that serve up fresh piade and cassoni – the cassone is a calzone-like variant on the piada. Using the same dough, water, salt, strutto combination, a thinner sheat of dough is rolled and then filled according to taste, folded over and sealed, and cooked on a teglia (or more often than not nowadays on a hot grill plate). They’re ready in minutes and are delicious. The classic fillings are Rosso (red – tomato and mozzarella) or Verde (green – the vegetables used vary depending upon the season, but are usually spinach, chard, or rosole which are poppy stems). What to put in the piadina? piada con Prosciutto Crudo – the simplest, but often the best, piada with seasoned ham. Be warned, though, the salt in the piada combined with the salt of the ham will leave you thirsty! piada con rucola e stracchino – piadina with fresh rocket leaves and the soft creamy stracchino cheese. piada con salsiccia e cipolla – piadina with sausage and grilled onions. This is a hefty but extremely tasty meal, often found at festivals. piada con nutella – a modern innovation, but for the sweettooth it’s a must! Believe me, you’ll have no problems getting your hands on some piadina in Rimini. Many restaurants, for example, will bring you piada rather than bread as part of your coperto. Nearly all the cafes and bars that serve lunch will have a selection of piade to choose from. Outside of the tourist beachfront you can search for a piadineria which serves a similar function and role as the pizzeria – most are take-away only, or have a small seated area. If you go to a large concert or event in Emilia-Romagna you’re also likely to see large vans selling piadina, the local equivalent of the British / Irish chip van! You can also buy piadina in the supermarkets – these will last a while if you want to bring some home with you. Stick them in the fridge when you get home, and then warm them using the largest non-stick frying pan you have (with no oil! ).